A brewery that’s operated a taproom in RiNo for a year already has picked out its second location. 14er Brewing, which opened at 2801 Walnut St. in July 2017, signed a lease last month for 1,678 square feet at 4045 Pecos St.
That’s the site of the former Catholic Charities headquarters, which new owner HM Capital has been renovating into a mix of office and retail space. The project, which also involves the construction of townhomes west of the building, is branded Block Forty45. 14er’s space is on the first floor of the two-story structure, at the corner of North Pecos Street and West 41st Avenue. The company plans to open a taproom there. 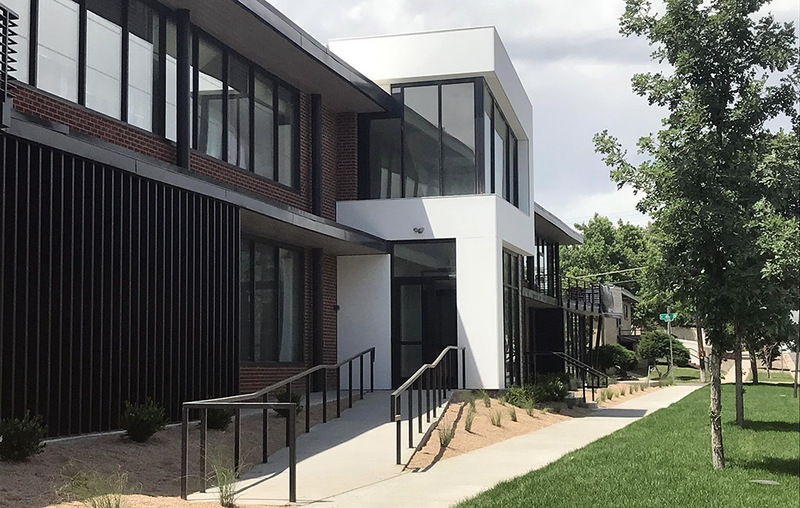 While 14er has operated in RiNo for a year, the former industrial building it occupies remains basic, with only a taproom. No brewing is done on site; the beer comes together at Crazy Mountain Brewery’s production facility at Sixth Avenue and Kalamath Street in Denver. 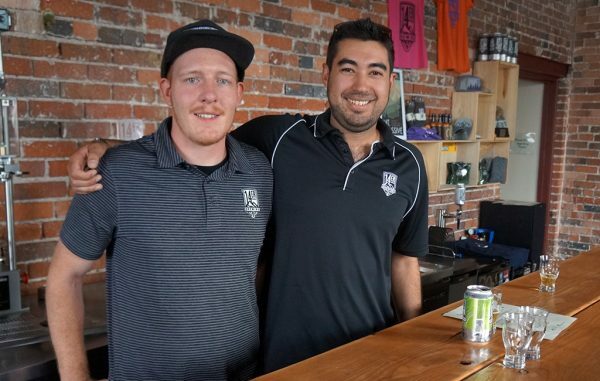 Despite that, Francescato, 28, and co-founder Andrew Kaczmarek, 27, said business at the taproom has been strong. “Not having a brewhouse here and still getting a good response … was kind of the catalyst to look for a second location,” Kaczmarek said. Brokers Nathan Stern and Zach Cytryn with Broad Street Realty represented 14er in the Sunnyside lease. McCall Perry with Ecospace represented the landlord. Francescato said the company needs to be in RiNo because it’s “the tourist district of breweries,” but believes that more outlying neighborhoods want some place local to drink good beer during the week. Additionally, taproom sales have the highest margin of the company’s business. Francescato said the pair presented Broad Street Realty with “neighborhoods that we thought were up and coming and popping” to guide the search. The brewery’s neighbors will include Shift Cycle + Fitness and law firm Cage Bucar Lewis, as well as a coworking space HM Capital is running. Perry said the building is 100 percent leased, although some coworking spots remain. 14er’s taproom will have 20 beers on tap and outdoor seating. “Instead of doing the garage doors that everyone does, we’re doing California sliding doors,” Francescato said. 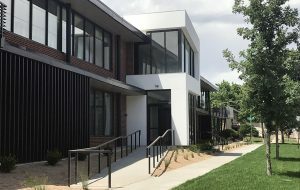 Kaczmarek said the pair focused on finding “the right relationship with the right landlord,” and in HM Capital President Ben Maxwell found someone willing to build the space to suit them. That was particularly important, Kaczmarek said, because 14er has another buildout to focus on. Toward the end of this year, the company plans to close the RiNo taproom for about four months to renovate the space, adding a production facility and an outdoor patio, and upgrading the taproom. The pair said they plan to open the Sunnyside taproom before the temporary closure in RiNo. The brewing equipment at the RiNo site will be used to produce small-batch specialty beers destined for the taprooms, the two said. 14er, which has produced about 2,500 barrels in the last year, will continue to do some brewing at Crazy Mountain’s facility. 1 Comment on "RiNo brewery plans renovation, new taproom in Sunnyside"
It has a parking lot which is very valuable in the entire Northside.